I’ve shopped around for a diffuser for my house online and at local shops here in Perth butI couldn’t find “the one” until I met this diffuser in Japan. Mujirushi brand is quite popular around the world for its’ quality and simple-yet-modern-looking products. I’ve loved this brand since they opened in Japan when I was in high school. 😀 Whether it’s a pen, notebook, photo album or chocolate ring snack, all of my friend had at least one of Mujirushi items at school. 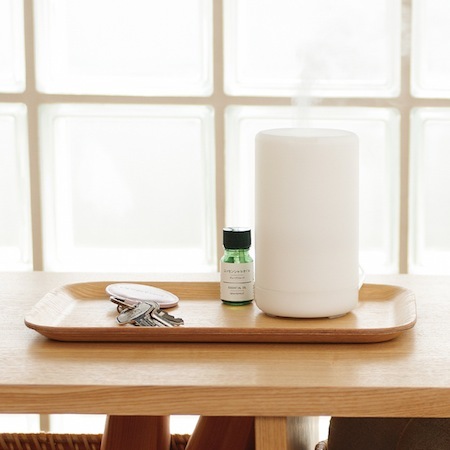 I love this Muji aroma diffuser because it looks simple and go with any interior. I love this because it inputs 100~240V which means I can use this in both Japan & Australia. I love this because this diffuser works great!!! They have two sizes, and I got a smaller one at home. By using ultrasonic waves to create a mist, this diffuser effectively spreads scent throughout your home and you can use the integral LED as a Light source, as well. 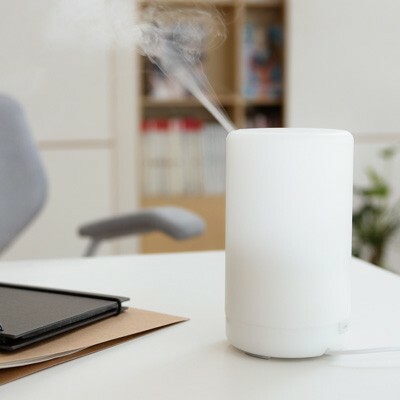 Pure essential oil is recommended for this diffuser. I bought a set box of a diffuser and 2 bottles of pure essential oil – orange & lavender. I LOVE THIS!